Good Shepherd welcomes all children ages three or four (must be the age by September 1st) to our Sunday School program. Each week your child will hear a Bible story, sing songs, make a craft to help them remember the story and have a snack. Classes begin on September 24, 2017 during the 10:30 Mass. Questions, please contact Casey Jackson at 612-965-6163 or casiejackson0819@gmail.com. Religious Education goes by many names: CCD (Confraternity of Christian Doctrine), Faith Formation, or even Wednesday night classes. Whatever name is used, we are very proud of our program. We employ professional teachers who are committed to offering the best possible learning experience for each child. The experience includes the use of a textbook, handouts, lectures, discussions, written journal, homework, individual and group prayer as well as other religious learning experiences. Classes are held on Wednesday evenings from 6:30 - 7:30 PM for students in 1st through 7th grade who attend public school. Classes begin Wednesday, September 20, 2017 and go through April 18, 2018. Students are required to register each year. Please fill out the following information to enroll for Religious Education Classes for 2017-2018. Please contact the Parish Office with any questions at 763-544-0416, ext. 810. 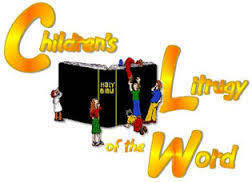 The fee for Religious Education Classes is $100.00 per child for Parishioners, $200.00 per child for Non-Parishioners. During the 10:30 Sunday mass, children in Kindergarten through First Communion are invited to leave for a short time for the Liturgy of the Word. During the summer, for 5 days in June, Monday-Friday, from 9:30 a.m. - Noon, the parish building and grounds are transformed into a themed faith camp for children entering kindergarten through 3rd grade. Each day the children will take part in fun Scripture-themed activities: Bible points, crafts, team building games, lively songs, and tasty treats are just a few of the things that are featured at VBS. Older children and adults attend as "camp leaders." For more information or to volunteer, please contact the Good Shepherd School Office, 763-545-4285.